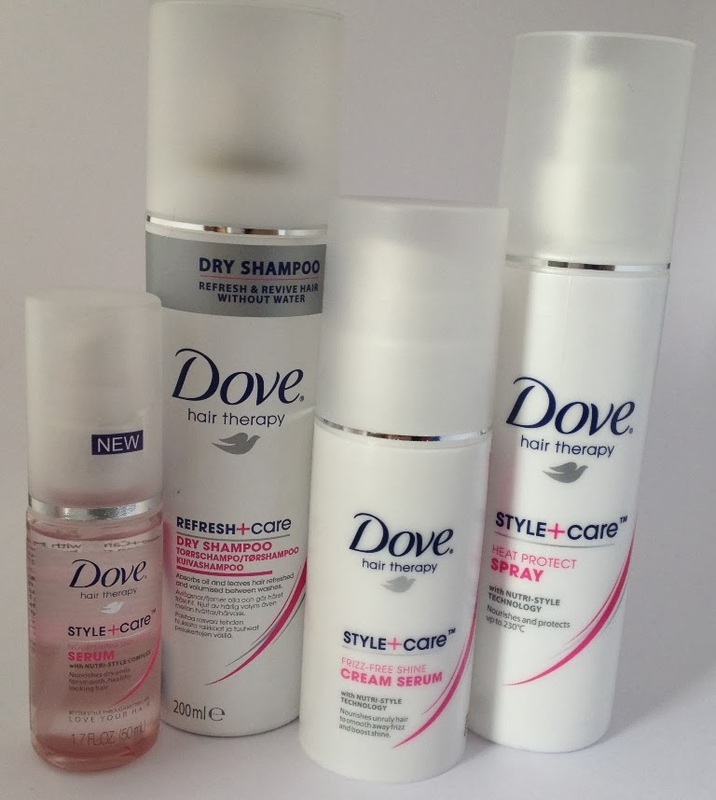 BeautySwot: Dove Style+Care Range - New! On my already dried hair that he was going to be restyling he used the Heat Protect Spray, the Frizz Free Shine Cream Serum in preparation for the blowdry. 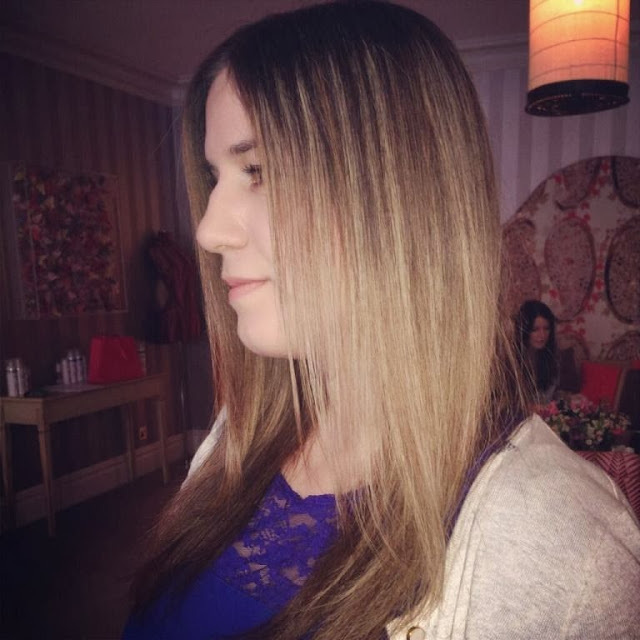 He finished my style by applying the Nourishing Dry Ends Serum to the ends of my hair for that ultra smooth and sleek finish. I was incredibly impressed.. I thought my hair WAS sleek and smooth when I arrived but Christian took it to a whole other level! When I picked up my son from school the other mums loved my new do and actually thought I had had it cut and coloured!! Before I wrote about the products however (as always) I wanted to try out the products for myself, were they easy to use and could I achieve sleek smooth perfection at home.. and the answer? A big fat yes! Dove are well known for their body care range but I have a feeling this hair collection is going to be very popular indeed. There are four products in this affordable collection and each product costs less than £5 - They all smell so nice, slightly fresh but sweetie like. Can be used on clean hair to add extra oomph and volume to the roots. I have been using it to revive and refresh my hair when I have been needing to go out but not had any time to wash and style my hair. It smells amazing and has none of the white powder effect that comes from other dry shampoos. It is made with aluminium starch and absorbs dirt and oil brilliantly. A fabulous time saving product. Using a hairdryer and following this with a hair straightener makes a heat protection spray a must. This one protects hair from heat damage up to 230 degrees. Conditioning agents and silicone provide shine whilst protecting hair. Apply to towel dried hair. This is my favourite product in the collection. The cream is so light and doesn't weigh hair down meaning it won't look lank the next day. It also does a great job in preventing frizz and fluff when it is damp outside. Nourishing for the hair but providing the shine of a serum it is smoothing and softening. I like to use this serum like Christian did, just on the ends of my hair for extra sharp sleekness. It reduces flyaways and makes the ends look suitably healthy (I need a haircut!) Perfect handbag product that can be applied at anytime. The result - Smooth, sleek, glossy and healthy looking hair. I am fan. Dove Style+Care range is available from major supermarkets and chemists.